Having a purple themed wedding or hen party? 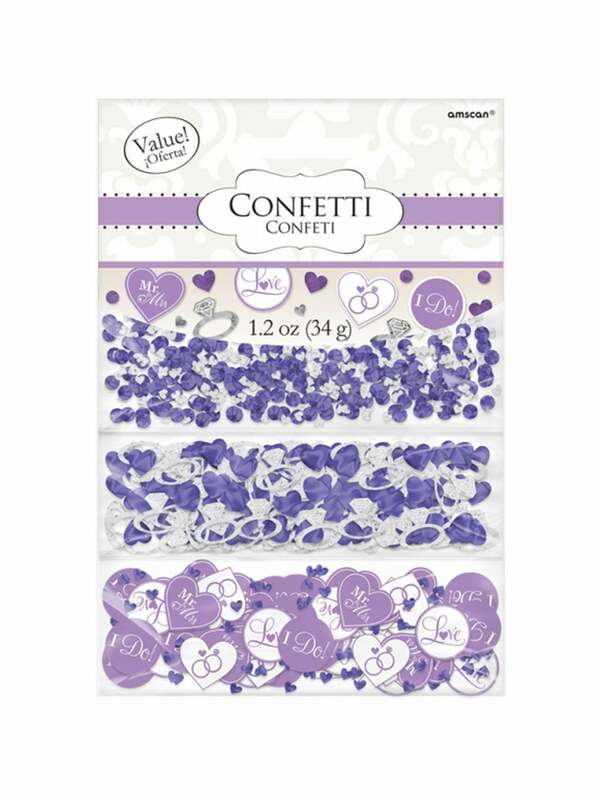 This stunning table confetti comes in three separate packets so you can sprinkle the three themes together or singly. This lovely hen party table confetti decoration even features love hearts with a 'Mr and Mrs' message:how sweet!